When working horses were being used for deliveries and transport, horse troughs were a common sight. Many survived the second world war, but they gradually disappeared during the ’50s and ’60s. 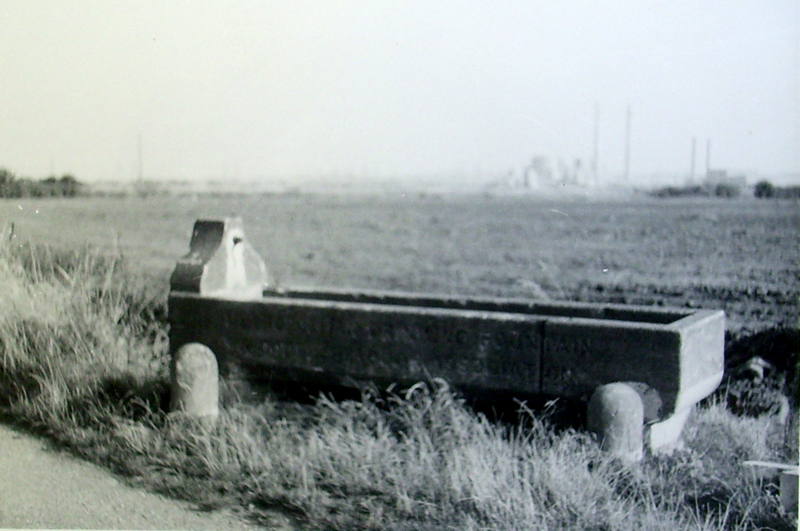 This trough was originally at the junction of Dock Road and Calcutta Road – known locally as the Bullnose. It was installed in 1916. It was apparently quite a landmark, if someone died in the docks, flowers were laid next to the horse trough. It appears to be the only horse trough to survive in Thurrock. 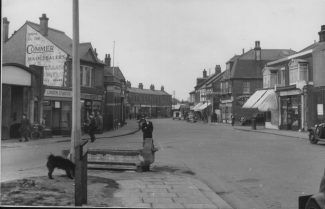 In the 1960s, when the junction was widened, it was moved to Biggin Lane for a while. During the time at Biggin Lane, it was damaged, and its condition deteriorated – see the picture in the gallery. It was subsequently moved to a field near the power station. 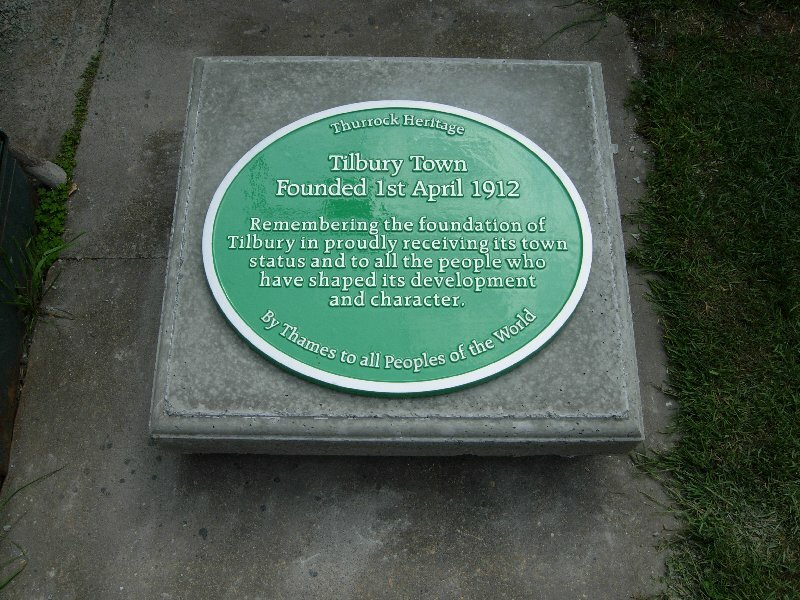 It was rescued by Peter Hewitt of the Tilbury Riverside Project. After being rescued, it was stored in the CRC car park. Historical research by Jack Doodes a resident of the town and member of the Tilbury Community Forum helped to ensure its restoration, cleaning and presentation back to public view thanks to funds raised by the community forum with help, grants and encouragement from Lyn Gittins, Brian Benson, Nick Falconer and Jonathan Catton. It has been restored by Madstone of Tilbury but, it was not possible to re-introduce water to the trough so it now serves as a container for flowers. In March 2010, it was re-positioned, close to its original location. 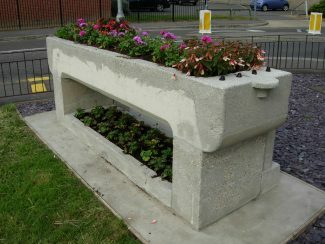 The flower display in the trough is looked after by Nick Falconer on an annual contract paid for by the Tilbury Community Forum. The children of the Lansdowne Primary School Gardening Club look after the raised flower bed behind the trough and St Mary’s school looks after the banana shaped bed. In September 2010, the then Mayor of Thurrock, Ann Cheale, officially marked the return of the trough. 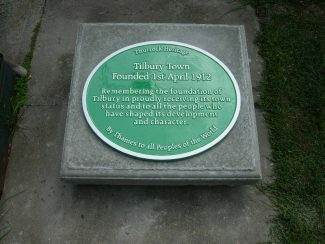 She also unveiled the green heritage plaque celebrating the establishment of Tilbury as an urban district in 1912. 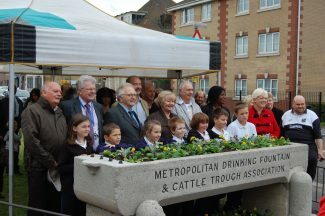 The ceremony was attended by local MP Jackie Doyle-Price, councillors, residents and children from a nearby schools. 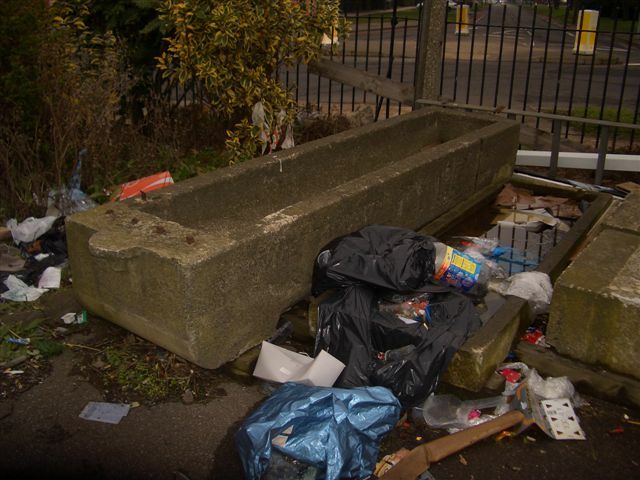 I grew up down Biggin Lane and growing up, the trough was always a permanent fixture of the lane. Hi John you are not the first to think that the trough was not the original one. I know that it is now higher than we remember but that was because it had sunk into the ground. It is now standing on a concrete base. 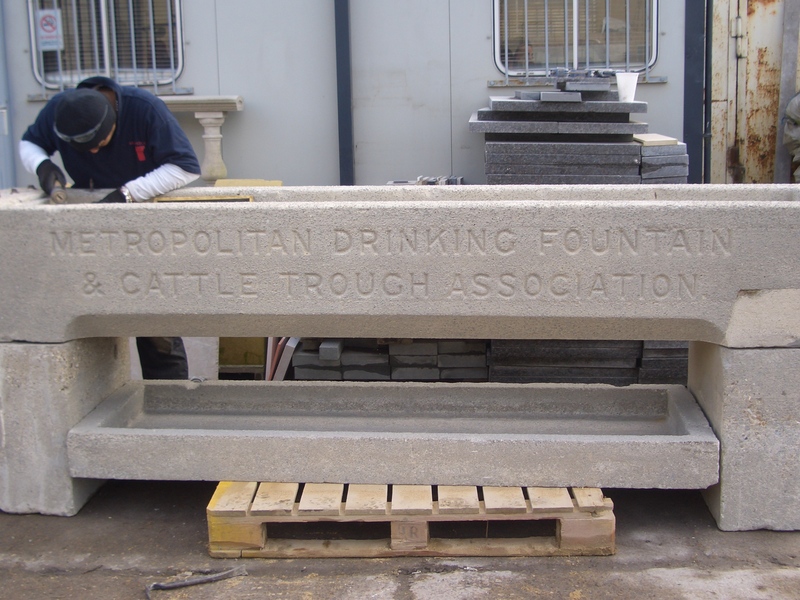 Talking of concrete the trough is made of Granite concrete the same as the base that I made for the Heritage plaque. If you look at the back of the trough the Patten in the concrete is the same as in the photo of the old trough before it was moved. Please see last two photos just click on the last one to make it bigger. although I think the replacement of a horse trough at the same position is great I do not think that this is the original trough, the one I seem to remember was of a different shape that of a bowl, a different finish, that of stone and it had ” drink horsey drink engraved on it with a bowl on the side for dogs and I think a water fountain for humans also. I often wondered what had happened to trough, I remember my Grandfather Saunders used to tie his pony and trap up next to it when he popped across the road to where he and my grandmother lived over a shop, which I think was a butchers. I was perhaps between four and seven years old, he died when I was very young. But I do have clear memories of my visits to thier home, knowing that he was at home on seeing Dolly the pony at the trough. Dogs could drink from it but it was for sheep when being drovered as they did not have lorries to carry them about but were driven along the roads. 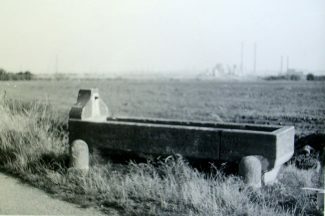 My father said that when the men came to stop here with their horse and carts,most would have dogs with them,hence the lower drinking trough..